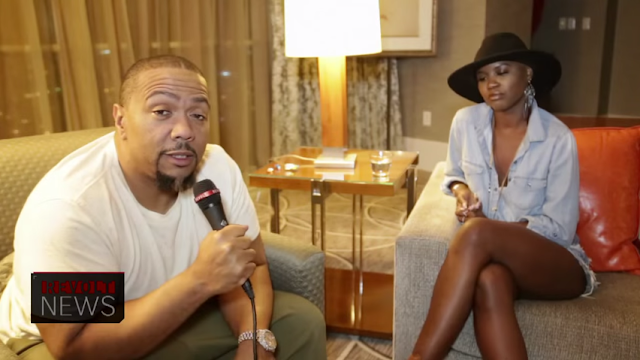 Timbaland is bringing passion back. Timbaland, meanwhile, maintained that the body of work will come with visuals and tons of supporting elements. “Opera Noir is about Timbaland’s life. He knows how to mix that old school with new school so well, he’s mastered it…I think Opera Noir will elevate music as a whole,” Bozeman added. People when I say opera noir is everything this is coming from the executive producer music executive producer of EMPIRE!!!!!! !ME !!!!! @originalbigdaddy mr lee Daniel my friend really wanted me to b the music guy I thank u GOd for u everyday for picking me thank u my brother I love u we making history thank u FOX for believing!!!!!!! Wit that being said music is feeling and visual this opera noir will go down as a another ground breaking moment n my career thank u Jesus I'm claiming it !!!!! !sorry for the wait but it has to b rite not only is about music is about the visual no it's not a video it's a TV series smile is the first listen from the opera noir soundtracks .... To all my fans and haters this project will b groundbreaking!!!!!!!!!!!!!!!!! !u never seen Timbo like this I promise u !!!!!!!! !u will get your money worth and u will no V Bozeman !!!!!! After this !!! !this will b the new way to showcase and artist!! !